and how they had these red things that could be a little tricky to line up. For Election night, my mom asked my dad to get an assortment of fun cupcakes from Crumbs. 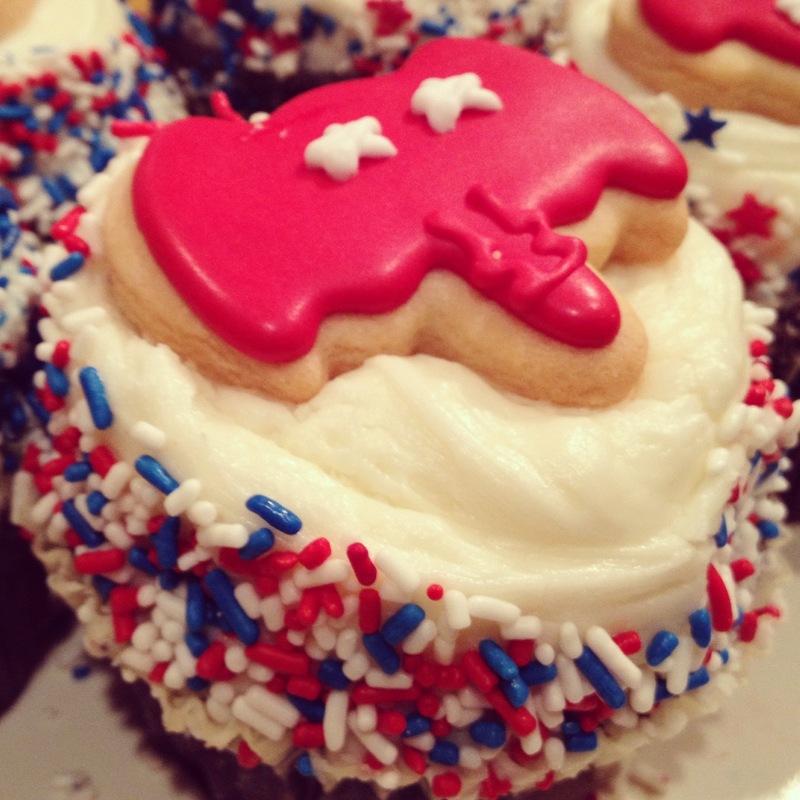 He came back with only Republican cupcakes… Typical. According to Carms, I voted back in ’08 but I guess I must have blacked out since I have no recollection of it. I arrived at the carpet store Lawrence of La Brea to cast my vote. The whole week my household referred to the polling place as Lawrence of Arabia. If only the Persian rug gods had sent me their knowledge when I finally got to the booth. I took the ballot and placed it on the red things. I matched up my candidate and thought it was correct. I could tell I was being watched, and told one of the voting people I thought I had done it wrong. Um, turns out I did because I didn’t put it through the machine. Literally this is my life. Oh well, I still lined it up perfectly without the machine. Thank you SAT’s and ERB’s.